I thought that when my kids got older that my life would get easier. Boy was I wrong. My youngest is in a phase where he seems to eat all day long. As soon as he eats he is hungry again. I spend half of my day making and feeding him meals and snacks. The other half of the day I spend cleaning up his crafts and creative projects. I love that he creates projects etc, I just could do without all the mess that it takes for his creations to take shape. The work doesn't end with my youngest. Getting my oldest up in the morning can be nearly impossible some mornings. He moves so slowly. I feel like I have to nag him from the time he gets up just to make sure that we get to the bus on time. Most mornings we have to run the last block in order not to be late. Then the homework in the evening involves complaining and whining. I really hate whining, it's like nails on a chalkboard. I've decided that life for a mother doesn't get easier as their kids grow, just more complicated. Since my mornings are almost always rushed I try to have meals that are quick and easy to make. Smoothies are one of my favorite since I can drink them on the way to the bus stop to drop off my oldest. 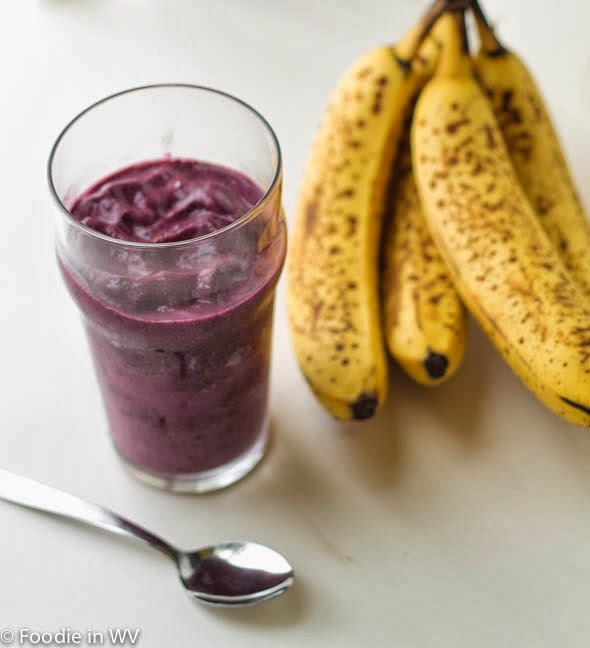 Last week I tried a new recipe for Mango, Berry and Banana Smoothie from Bon Appetit Magazine. This recipe has 7 ingredients. It takes 5 minutes of total time, all of which is active and makes 2 servings. I made a number of changes to the original recipe. First, my youngest kept eating all the frozen mangos that I bought. Therefore, I ended up with only 1/4 cup of mangos. 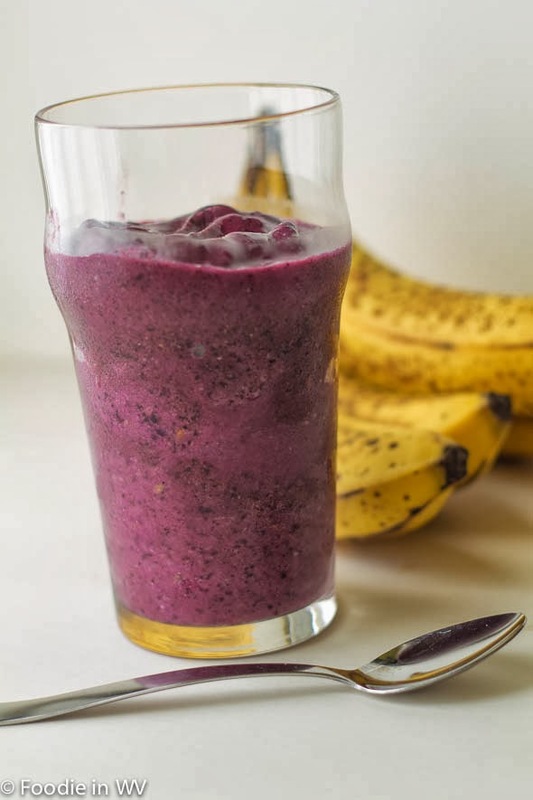 I froze my banana before adding to the smoothie, left out the yogurt and added stevia. I found the smoothie as written was a little too thick so I added additional coconut water. I am a huge smoothie fan. This smoothie was a nice change of pace, it had more of a tropical flavor than other smoothies I had tried before. It was too thick as written, my blender didn't want to even move. In order to make the recipe work I added additional coconut water. I think if I made the recipe again I would try it with pineapple. Pineapple and coconut are delicious together and would work very well with this recipe. 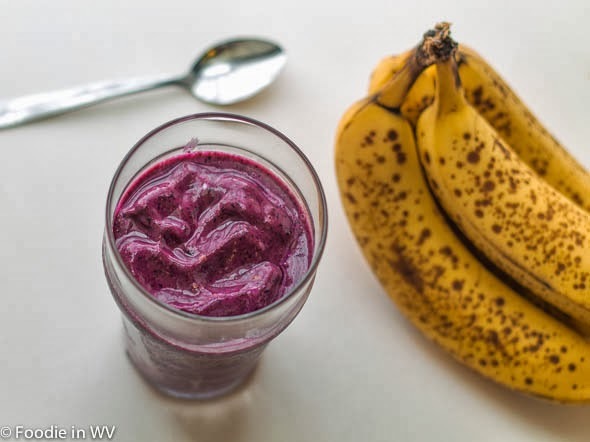 For the recipe go to Mango, Berry and Banana Smoothie. I bet I'm still the only person on the planet who doesn't make smoothies and I don't know what is stopping me! This does look refreshing and would be a great pick me up instead of my usual diet coke in the afternoon.... OK, I need to get on this!